The competition powder measure starts with the proven uniflow powder measure with its precision ground metering drum and honed main casting. RCBS then adds a powder baffle and UPM micrometer adjustment screw. 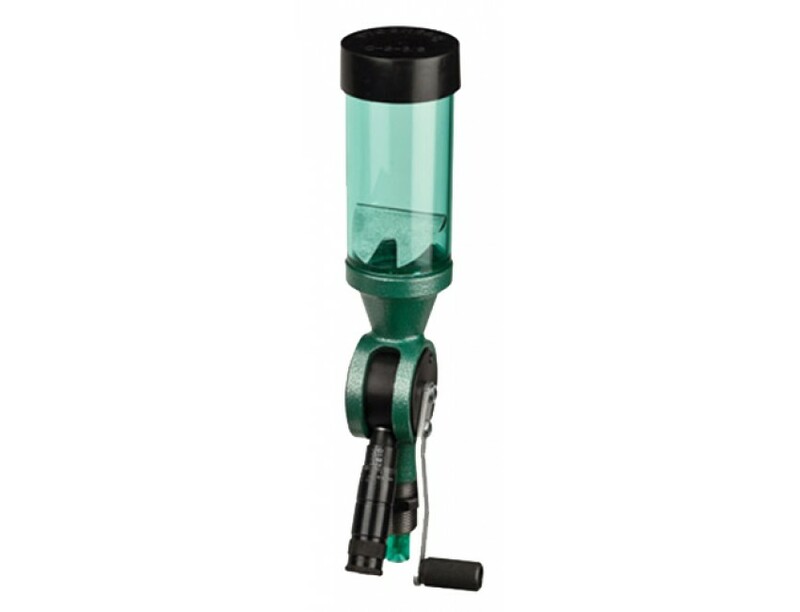 The powder baffle controls the powder flow and the pressure of the powder column on the metering unit. The UPM Micrometer Adjustment screw allows precise adjustments to the metered charge as well as allowing you to record the number for future reference and reuse. Handle placement can be used on the right or left side simply by changing the orientation of the metering drum. The powder measure will accurately meter, by volume, all types of smokeless powder ball, flake or cylindrical (stick).NOTE: Do not use with black powder.